This article is about the 1962–1964 GT racing car. For the 1984–1986 Group B racing car, see Ferrari 288 GTO. The Ferrari 250 GTO is a GT car produced by Ferrari from 1962 to 1964 for homologation into the FIA's Group 3 Grand Touring Car category. It was powered by Ferrari's Tipo 168/62 Colombo V12 engine. The "250" in its name denotes the displacement in cubic centimeters of each of its cylinders; "GTO" stands for Gran Turismo Omologata, Italian for "Grand Touring Homologated." Just 36 of the 250 GTOs were manufactured between 1962 and 1964. This includes 33 cars with 1962-63 bodywork (Series I) and three with 1964 (Series II) bodywork similar to the Ferrari 250 LM. Four of the older 1962-1963 (Series I) cars were updated in 1964 with Series II bodies. When new, the GTO cost $18,000 in the United States, with buyers personally approved by Enzo Ferrari and his dealer for North America, Luigi Chinetti. In October 2013, Connecticut-based collector Paul Pappalardo sold chassis number 5111GT to an unnamed buyer for a new record of around $52 million. In June 2018, the 1963 250 GTO set an all-time record selling price of $70 million. The 250 GTO was designed to compete in Group 3 GT racing, where its rivals would include the Shelby Cobra, Jaguar E-Type and Aston Martin DP214. The development of the 250 GTO was headed by chief engineer Giotto Bizzarrini. Although Bizzarrini is usually credited as the designer of the 250 GTO, he and most other Ferrari engineers were fired in 1962 due to a dispute with Enzo Ferrari . Further development of the 250 GTO was overseen by new engineer Mauro Forghieri, who worked with Scaglietti to continue development of the body. The design of the car was a collaborative effort and cannot be ascribed to a single person. The mechanical aspects of 250 GTO were relatively conservative at the time of its introduction, using engine and chassis components that were proven in earlier competition cars. The chassis of the car was based on that of the 250 GT SWB, with minor differences in frame structure and geometry to reduce weight, stiffen and lower the chassis. 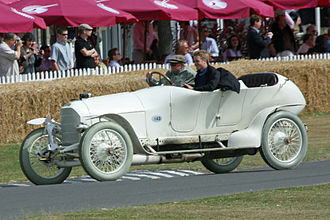 The car was built around a hand-welded oval tube frame, incorporating A-arm front suspension, rear live-axle with Watt's linkage, disc brakes, and Borrani wire wheels. The engine was the race-proven Tipo 168/62 Comp. 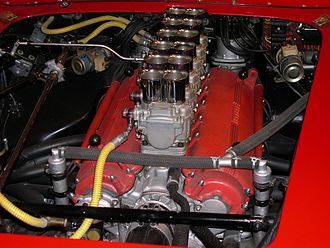 3.0 L (2,953 cc) V12 as used in the 250 Testa Rossa Le Mans winner. 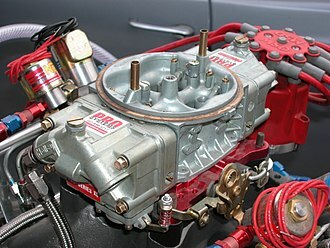 An all-alloy design utilizing a dry sump and six 38DCN Weber carburetors, it produced approximately 300 PS (296 bhp; 221 kW) at 7500 rpm and 294 N⋅m; 217 lbf⋅ft (30 kg⋅m) at 5500 rpm of torque. The gearbox was a new 5-speed unit with Porsche-type synchromesh. Bizzarrini focused his design effort on the car's aerodynamics in an attempt to improve top speed and stability. The body design was informed by wind tunnel testing at Pisa University as well as road and track testing with several prototypes. The resulting all-aluminium bodywork had a long, low nose, small radiator inlet, and distinctive air intakes on the nose with removable covers. Early testing resulted in the addition of a rear spoiler. The underside of the car was covered by a belly pan and had an additional spoiler underneath formed by the fuel tank cover. The aerodynamic design of the 250 GTO was a major technical innovation compared to previous Ferrari GT cars, and in line with contemporary developments by manufacturers such as Lotus. The bodies were constructed by Scaglietti, with the exception of early prototypes with bodies constructed in-house by Ferrari or by Pininfarina (in the case of s/n 2643 GT). Cars were produced in many colours, with the most famous being the bright red "Rosso Cina". The minimalist interior of a 250 GTO reflects the car's racing intentions. There is no speedometer, seats are cloth-upholstered, and neither carpeting nor a headliner was installed. Cockpit ventilation is via exterior air inlets. The exposed metal gate defining the shift pattern became a Ferrari tradition maintained in production models until replaced by steering column-mounted paddle shifters in the 2000s. Handbuild production, updates, and repairs throughout each car's competition history result in differences both visible and invisible between individual 250 GTOs. Variance in air intake/vent configuration is common among cars. Modifications to the original bodywork were performed by the factory, Scaglietti, or other body shops, usually after crashes or according to a racing team's wishes. Three 330 GTO specials were made using the 250 GTO chassis and body fitted with 400 Superamerica 4.0L motors. Distinguished by a larger bonnet bulge, these cars were used briefly for racing and testing by Scuderia Ferrari before being sold to private customers. The 330 LMB is sometimes considered a GTO variant. These cars used a 4.0L 330 motor and a modified 250 GT Lusso chassis/body. Four were produced in 1963. Three 275 GTB/C Speciales were built in 1964/65. Despite their origins as competition versions of the 275 GTB, they are sometimes considered developments of the 250 GTO due to similarity of configuration and bodywork. The Ferrari 250 GT SWB Breadvan was a one-off racing car designed for Scuderia Serenissima by Bizzarrini after his departure from Ferrari. It was developed specifically to compete against the then-new 250 GTO. Although based on the earlier 250 GT SWB, the Breadvan provided an opportunity for Bizzarrini to develop the ideas he had first explored with the GTO, such as lower and more aerodynamic bodywork, incorporation of a dry sump, and radical lightening of the entire car. FIA regulations in 1962 required at least one hundred examples of a car to be built in order for it to be homologated for Group 3 Grand Touring Car racing. However, Ferrari built only 39 250 GTOs (33 of the "normal" cars, three with the four-litre 330 engine sometimes called the "330 GTO"—recognizable by the large hump on the bonnet—and three "Type 64" cars, with revised bodywork). 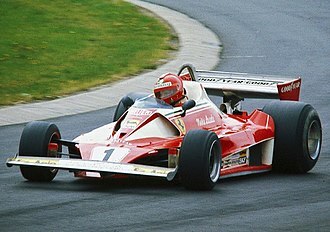 Ferrari eluded FIA regulations by numbering its chassis out of sequence, using jumps between each to suggest cars that did not exist. When FIA inspectors appeared to confirm that 100 examples had been built, Enzo Ferrari shuffled the same cars between different locations, thus giving the impression that the full complement of 100 cars was present. The car debuted at the 12 Hours of Sebring in 1962, driven by American Phil Hill (the Formula One World Driving Champion at the time) and Belgian Olivier Gendebien. Although originally annoyed that they were driving a GT-class car instead of one of the full-race Testa Rossas competing in the prototype class, the experienced pair impressed themselves (and everyone else) by finishing second overall behind the Testa Rossa of Bonnier and Scarfiotti. Ferrari would go on to win the over 2000cc class of the FIA's International Championship for GT Manufacturers in 1962, 1963, and 1964, the 250 GTO being raced in each of those years. 250 GTOs also won the 1963 and 1964 Tour de France Automobile, marking Ferrari's nine year dominance of that race. The 250 GTO was one of the last front-engined cars to remain competitive at the top level of sports car racing. Before the advent of vintage racing the 250 GTO, like other racing cars of the period, passed into obsolescence. Some were used in regional races, while others were used as road cars. From the late 1970s to the late 1980s, classic car values rose rapidly and the 250 GTO became the most valuable Ferrari model, touted as the Ferrari that most completely embodies the characteristics of the manufacturer. Prices fell substantially during the car market crash of the early 90s, resulting in lows of $2,700,000 in September 1994 and $2,500,000 in May 1996. Prices began to climb again in the late 90s and have continued to rise through the present day. 250 GTOs have repeatedly broken records for most expensive car ever sold at auction or private sale. Scarcity and high prices led to the creation of several replica 250 GTOs on more common Ferrari chassis. Misrepresentations of the original cars, offered for sale at full market value, have been reported. A 250 GTO (4757GT) belonging to the deceased Robert C. "Chris" Murray, a drug dealer who fled the United States in 1984, was seized by the FBI and sold in a sealed auction in 1987 for approximately $1.6 million. Murray bought the car in 1982 from a Beverly Hills dealer with $250,000 in cash from a backpack full of $20 and $50 notes. In 1989, at the peak of the boom, a 250 GTO was sold to a Japanese buyer for $14.6 million plus commission. By 1994 that example changed hands for about $3.5 million. In 2008, a British buyer bought a 250 GTO that formerly belonged to Lee Kun-hee of Samsung Electronics at an auction for a record £15.7 million. In May 2010, BBC Radio 2 DJ Chris Evans bought chassis number 4675 GT for £12 million. According to Octane Magazine, the Ferrari 250 GTO bearing chassis number 5095GT was sold by British real estate agent Jon Hunt to an unknown buyer. It has been disclosed that the buyer was Carlos Hank Rhon of Mexico, a member of one of the most influential families within the PRI ruling party. In February 2012, in what is believed to be the largest single car transaction in the United Kingdom, a Ferrari 250 GTO sold for over £20 million (approx. US$31.7 million). 2000: $7,000,000 (Number 3413GT) Purchased by Greg Whitten. ^ "1962 - 1963 Ferrari 250 GTO specifications". ultimatecarpage.com. Retrieved 2018-06-09. ^ "1962 Ferrari 250 GTO specifications". carfolio.com. Retrieved 2018-06-09. ^ "1962 Ferrari 250 GTO detailed specifications". automobile-catalog.com. Retrieved 2018-06-09. ^ "Revealed on www.ferrari.com: the new 599 GTO - The fastest ever road-going Ferrari will be unveiled to the public at the Beijing Motor Show". Ferrari.com. Retrieved 2011-08-19. ^ a b "Ferrari GTO Becomes Most Expensive Car at $52 Million". bloomberg.com. Retrieved 2013-10-05. ^ a b c Strohl, Daniel (June 5, 2018). "Ferrari 250 GTO sells for $70 million, becomes world's most expensive car". Hemmings Motor News. Retrieved August 28, 2018. ^ a b "Ferrari GTO Becomes Most Expensive Car at $35 Million". bloomberg.com. Retrieved 2012-06-03. ^ "The Greatest Ferraris of All Time - Coupe - Motor Trend Classic". Motortrend.com. 2010-12-13. Retrieved 2011-08-19. ^ Tate, James. "The 100 Hottest Cars of All Time". Popular Mechanics Magazine. Hearst Men's Group. Retrieved 26 September 2015. ^ Mallepelle, Paolo (1983). "The 64 GTO". Cavallino. 16: 22–28. ^ a b c "RM Sotheby's - 1962 Ferrari 250 GTO by Scaglietti | Monterey 2018". RM Sotheby's. 2018-08-26. Retrieved 2018-08-28. ^ "Daytona 2000 Kilometres 1964 - Race Results - Racing Sports Cars". www.racingsportscars.com. Retrieved 2018-08-31. ^ Ridgley, Dyke (December 1988). "The 275 GTB/C - A History". Cavallino. 48: 26–33. ^ "250 GTO Chassis List". ferraribuy.com. Retrieved 2010-05-13. ^ "Do you remember...when Ferrari raced in blue". formula1.com. Retrieved 2015-10-28. ^ a b "1962 Ferrari 250 GTO Brings $48,400,000 in Monterey to Set New Record | Automobile Magazine". Automobile Magazine. 2018-08-27. Retrieved 2018-08-28. ^ a b "Bonhams : Ferrari 250 Gto Achieves $38,115,000 (£22,843,633)A New World Auction Record At Bonhams Quail Lodge Sale". www.bonhams.com. Retrieved 2018-08-28. ^ Robert Frank (2014-07-31). "A $63 million Ferrari is a fake, expert says". Cnbc.com. Retrieved 2015-05-20. ^ "U.s. Picks Up Quick Cash In Sale Of Rare Ferrari - Chicago Tribune". Articles.chicagotribune.com. 1987-11-27. Retrieved 2011-08-19. ^ a b Sheehan, Michael. "When Japan Ruled the World", article reproduced from Sports Car Market, May 2006. Retrieved on September 4, 2008. ^ "250 GTO s/n 5095GT". Barchetta.cc. Retrieved 2009-07-15. ^ "Wheels - Recession-proof Ferrari fetches $42 million". Wheelsmag.com.au. Archived from the original on 2009-10-03. Retrieved 2009-07-15. ^ "Englishman Pays £15.7 Million for Ferrari 250 GTO", WorldofCars, September 22 2008. Retrieved on September 22, 2008. ^ "1963 Ferrari 250 GTO sold for 17.7 mil USD". carsession.com. 2010-05-14. Retrieved 2010-05-14. ^ "Ferrari 250 GTO sells for more than US$30 million". Gizmag. Retrieved 20 February 2012. ^ "Kidston - Arrivederci to Fabrizio Violati". Retrieved 5 October 2014. ^ "The Ups and Downs and Ups of the 250 GTO". Archived from the original on 27 July 2012. Retrieved 5 October 2014. ^ "250 GTO s/n 4219GT". Barchetta.cc. Retrieved 2015-05-20. ^ "250 GTO s/n 3729GT". Barchetta.cc. Retrieved 2015-05-20. ^ "250 GTO s/n 3413GT". Barchetta.cc. Retrieved 2015-05-20. ^ "250 GTO s/n 3223GT". Barchetta.cc. Retrieved 2015-05-20. ^ "250 GTO s/n 3943GT". Barchetta.cc. Retrieved 2015-05-20. ^ "250 GTO s/n 3505GT". Barchetta.cc. Retrieved 2015-05-20. ^ "1964 Ferrari 250 GTO Sells for Record $52M". JustLuxe.com. Retrieved 5 October 2014. ^ "Bonhams : The Ex-Jo Schlesser/Henri Oreiller, Paolo Colombo, Ernesto Prinoth, Fabrizio Violati1962-63 FERRARI 250 GTO BERLINETTAChassis no. 3851GTEngine no. 3851GT". www.bonhams.com. Retrieved 2018-07-13. ^ "Classic 1963 Ferrari 250 GTO sold for record $70 million". Fox News. 2018-06-01. Buckley, Martin; Chris Rees (1998). World Encyclopedia of Cars: The Definitive Guide to Classic and Contemporary Cars from 1945 to the Present Day. London: Anness Publishing. ISBN 1-84038-083-7. OCLC 40502946. Wikimedia Commons has media related to Ferrari 250 GTO. In automotive suspension, a control arm, known as an A-arm, is a hinged suspension link between the chassis and the suspension upright or hub that carries the wheel. The inboard end of an arm is attached by a single pivot. It can thus control the position of the end in only a single degree of freedom. Although not deliberately free to move, the single bushing does not control the arm from moving back and forth and this is in contrast to the wishbone. 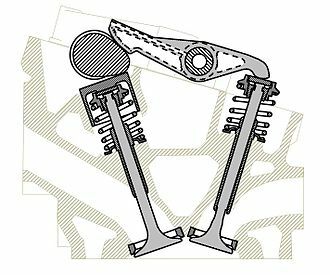 Wishbones are triangular and have two widely spaced inboard bearings and these constrain the outboard end of the wishbone from moving back and forth, controlling two degrees of freedom, and without requiring additional links. Most control arms form the link of a suspension. A few designs use them as the link, usually with a lower wishbone. The additional radius rod is attached to the upper arm. Control arms are most commonly encountered as part of the MacPherson strut independent front suspension, the control arms are perpendicular to the axis of the vehicle and are termed track control arms. In motorsports, homologation is the approval process through which a vehicle, a race track, or a standardised part is required to go for certification to race in a given league or series. The regulations and rules that must be met are generally set by the sanctioning body. The word is derived from the Greek homologeo—literally I say the same—for agree, since such vehicles are primarily intended for the race track, practical use on public roads is generally a secondary design consideration, so long as government regulations are met. Sales aids, even where such accommodations are made, are generally barely within the limits of government requirements for sale to consumers, such accommodations are often reversible, so that production vehicles can be modified to racing trim. A common example of this process is the exhaust system, often modified in the vehicle to meet legal requirements in the jurisdictions where the vehicle is sold. 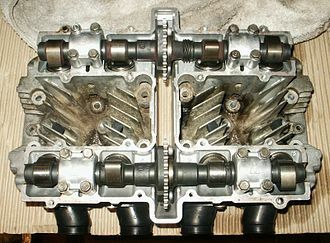 Many manufacturers of vehicles used in production-based racing offer a line of high-performance parts not intended for use on public roads, such components could include exhaust systems and engine internals, and are generally within the homologation guidelines of the racing series in which the vehicles are to be used. F. Porsche AG, usually shortened to Porsche AG, is a German automobile manufacturer specializing in high-performance sports cars, SUVs and sedans. Porsche AG is headquartered in Stuttgart, and is owned by Volkswagen AG, Porsches current lineup includes the 718 Boxster/Cayman,911, Panamera and Cayenne. Ferdinand Porsche founded the company called Dr. Ing. h. c, F. Porsche GmbH in 1931, with main offices at Kronenstraße 24 in the centre of Stuttgart. Initially, the company offered motor vehicle development work and consulting, One of the first assignments the new company received was from the German government to design a car for the people, that is a Volkswagen. This resulted in the Volkswagen Beetle, one of the most successful car designs of all time, the Porsche 64 was developed in 1939 using many components from the Beetle. During World War II, Volkswagen production turned to the version of the Volkswagen Beetle, the Kübelwagen,52,000 produced. Porsche produced several designs for heavy tanks during the war, losing out to Henschel & Son in both contracts that ultimately led to the Tiger I and the Tiger II. However, not all work was wasted, as the chassis Porsche designed for the Tiger I was used as the base for the Elefant tank destroyer. Porsche developed the Maus super-heavy tank in the stages of the war. At the end of World War II in 1945, the Volkswagen factory at KdF-Stadt fell to the British, Ferdinand lost his position as Chairman of the Board of Management of Volkswagen, and Ivan Hirst, a British Army Major, was put in charge of the factory. On 15 December of that year, Ferdinand was arrested for war crimes, during his 20-month imprisonment, Ferdinand Porsches son, Ferry Porsche, decided to build his own car, because he could not find an existing one that he wanted to buy. He had to steer the company through some of its most difficult days until his fathers release in August 1947, the first models of what was to become the 356 were built in a small sawmill in Gmünd, Austria. The prototype car was shown to German auto dealers, and when pre-orders reached a set threshold, production was begun by Porsche Konstruktionen GesmbH founded by Ferry, many regard the 356 as the first Porsche simply because it was the first model sold by the fledgling company.